Being the owner of an anxious dog presents very unique challenges. It can be distressing, can’t it? Watching your dog pace up and down, trying to hide under the bed, or even howling as you leave for work. Whether it’s fireworks, the vet, separation anxiety or thunderstorms, trying to comfort a distressed dog is tough. So it’s not surprising that the demand for calming aids to help our dogs with fears and anxiety is increasing. But many of us don’t like the idea of prescription drugs and their possible side effects. So the search for efficient and more natural alternatives has driven a growing market in anxiety supplements for dogs. But, do natural alternatives work? Are they suitable for all dogs and are they safe? 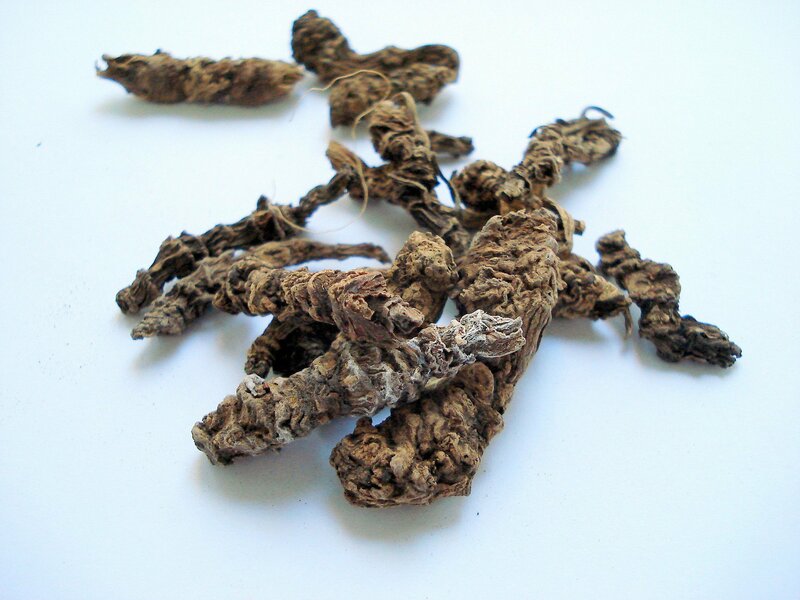 Valerian has a long history as a herb that helps both relax and calm the nervous system. In fact, valerian is a non-toxic herb that is often found in calming supplements for dogs. But is it beneficial for our fearful canines? Valerian (Valeriana officinalis) is a flowering herb native to Europe and Asia with a distinct and somewhat unpleasant smell. Although the flowers can be used in remedies, it’s the root of the plant that is most often dried and used for medicinal purposes. Classed as a nervine, valerian not only has a calming effect on the nervous system but also strengthens and tones it. Available in powder, capsule and tincture forms, it’s found in many over the counter calming remedies designed for anxious dogs. It’s tempting to think that because herbal medicines are ‘natural’ that they are automatically safe for our dogs. However, just like conventional medicines, herbal remedies affect the natural balance of our dog’s bodies. As such they are potentially harmful if they are not used correctly. While valerian has very few side effects, it’s also what herbalist refer to as a ‘hot’ herb. Although it may seem odd to think of herbs as hot or cold, it’s an important consideration when using any herb to treat a dog. As valerian is a warming herb it can negatively affect dogs that are itchy, suffer from hot spots or is generally ‘hot’ tempered. To counter the warming effects of valerian, a lot of dog specific supplements also include ‘cool’ herbs to balance them out. Despite valerian’s popularity no single herb will work efficiently on all dogs. So when considering herbal alternatives to conventional medicines, it’s always worth discussing the options with your veterinarian or herbalist. Why should I use valerian? Valerian has very limited side effects and has been used for centuries for its mild sedative and calming effects. Although it’s not known exactly how valerian works, it is thought that the compounds within the root act s a sedative on the central nervous system. Despite valerian being a relatively safe herb to use, there are some instances where it’s best to stay clear of it. Valerian can interfere with some other medications and supplements. So if your dog is already receiving treatment of any kind don’t introduce valerian into your dog’s diet unless you check with your vet that it’s safe to do so. It’s also best to steer clear of valerian if your dog is pregnant or nursing. It’s currently unknown if the herb negatively affects unborn puppies. Young dogs, under six months old, very old dogs and dogs that have existing liver conditions should not be given valerian either. 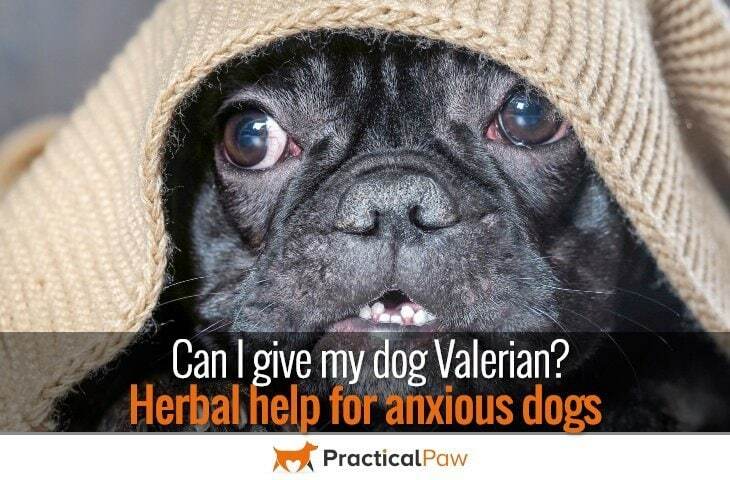 If in any doubt of whether valerian is appropriate for your dog do have a chat with your vet. While valerian is considered a safe herb to give your dog, just with any other medicine there are possible side effects. Also, in large doses, valerian can cause not only upset stomach but also low blood pressure. So always use as directed by your dog’s health care professional. While you can use tinctures, powders or supplements, it’s always better to get medical advice or use dog specific supplements. But as a general rule dosage for powdered valerian is approximately four milligrammes for every pound of weight. Alternatively the appropriate dosage can also be worked out by taking the weight of your dog and dividing it by one hundred and fifty pounds (the average weight of an adult). So for a thirty-pound dog, it would equate to twenty percent of an adults supplement dosage. Therefore if an adult dose is two supplements three times a day the appropriate dosage for a thirty-pound dog would be twenty percent of six capsules or one point two capsules a day. As with anything new, introduce it gradually so that your dog can get used to it and minimise any possible reactions. Many of the supplements will have a mixture of ingredients, including other calming herbs. If a supplement is not dog specific, check the ingredient list carefully. Some substances used in human supplementation like xylitol are highly toxic to dogs. Can I give my dog valerian? No herb works for every dog or for every situation. Every dog is individual, and while valerian may work for one dog with separation anxiety, it may not work for another dog with a fear of storms. Although valerian root is non-toxic to dogs, there are situations where it is contraindicated and should be avoided. These include dogs already taking medications and supplements and dogs with existing liver conditions. While it can be tempting to try almost anything when your dog is experiencing distress, their safety is paramount. Just because something is natural, it doesn’t mean that it can be taken without any possible side effects. So always consult with your dog’s veterinarian or health care professional before giving any supplements to your dog.